In another demonstration of President-elect Donald Trump’s blatant conflicts of interest, a Trump family vineyard filed a request this month for six temporary foreign worker visas—visas which Trump’s administration will soon have the power to approve. The U.S. Labor Department posted the request (pdf) that was submitted earlier this month online on Wednesday. “This is a powerful example of why Donald Trump needs to make a definitive break, not just with his operational interests but his ownership interests, by appointing an independent trustee to liquidate all that,” Norm Eisen, former chief White House ethics lawyer for President Obama, told the Washington Post. It’s “a classic conflict of interest,” Eisen said. And the conflict of interest isn’t the only noteworthy aspect of the situation: Like many U.S. businesses in the Trump empire, the vineyard often employs temporary foreign workers under H2 visas. Specifically, H2-A visas apply to temporary agricultural workers, many of whom travel to the U.S. to work from South America—including Mexico. Trump ran an aggressively anti-immigrant campaign, leading chants of “build a wall!”—referring to a promise to construct a wall on the U.S.-Mexico border—at his massive campaign rallies. Since launching his campaign by calling Mexicans “rapists,” the president-elect has continued to characterize immigrants as criminals and says he plans to enact mass deportations once he takes office. Yet “Trump’s various businesses have been granted approval to hire at least 1,256 foreign guest workers over the last 15 years, according to a CNN analysis of Labor Department filings,” reports CNN Money. Of those requests, the Post notes that 269 were filed after Trump started his presidential run. 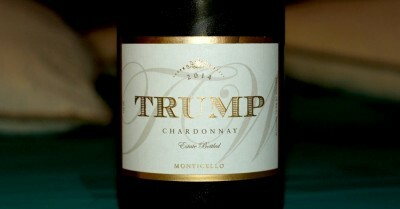 Trump serves as president of Trump Winery in Charlottesville, Virginia, and the vineyard is run by Trump’s son, Eric, according to the Post. Trump continues to refuse to divest himself of his businesses, as Common Dreams has reported.